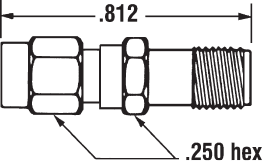 SMA adapter 3912-1 from Coaxial Components Corp. also known worldwide as Coaxicom is part of a very large selection of in-stock interconnect RF components. Our SMA to SMA adapter is a coaxial adapter design with a 50 Ohm impedance. This 50 Ohm SMA adapter is manufactured to precise RF adapter specifications and has a maximum VSWR of 1.15:1. SMA to SMA adapter is constructed with male gender on side 1 and female on side 2. 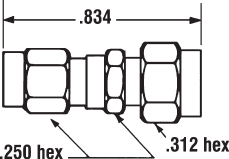 3912-1 SMA male to SMA female coaxial adapter from Coaxicom is a swept radius right angle body style. 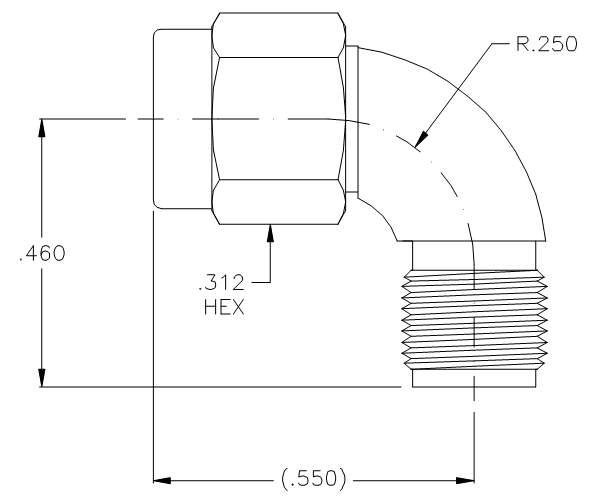 This swept radius right angle SMA connector adapter is an in-line RF adapter design. Coaxicom male SMA to female SMA adapter is part of over one million RF, microwave and millimeter wave components in stock. Our straight SMA adapter is ready for same day purchase and shipping worldwide. We also stock and/or custom build SMA coaxial cables that ship quickly from our Stuart, FL facility for all your RF adapter component needs.